Natick Window Company has been proudly serving Natick, MA and the surrounding communities with window replacement, window installation, and window repair services for years. We are proud to offer high quality products, professional and superior services, and, of course, our expert staff of technicians. 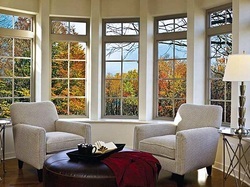 ​Our top priority as the local premier window repair, window installation, and replacement window company in Natick is to provide you with the best window services possible. As soon we receive your initial inquiry regarding our window services and products, we will assign one of our expert technicians to work with you side by side during the planning process for your window service. They will determine exactly what you’re looking for, will solve any dilemmas or answer any questions that may arise, and help you find the best window to suit your needs! The options are seemingly endless when it comes to window installations or replacements, especially if you don’t know what to look for. Whether you’re trying to choose a window material, window style, or perhaps both, we will make sure that you find the ideal window for your home or office! When it comes to estimates, Natick Window Company remains up front and honest. We will not suggest options or add-ons that we do not think are necessary. It is our job to work with you as well as your budget to bring you the highest quality products and services possible, all at a price you can afford. If you have financial concerns, we will help you to find the most cost-effective option while still providing you with industry-leading window products and services that make us the area’s top choice for window installation, replacements, and repairs. If you are considering a window style or material that was not listed above, don’t worry! Natick Window Company has access to a large number of window manufacturers, and will be sure to provide you with the exact window that you’re looking for! All you have to do is let us know what you are envisioning, and we will get to work straight away to make it happen! No matter the size of window service that we provide, each of our staff members at Natick Window Company is committed to excellence in customer satisfaction. We will strive to exceed all of your expectations when you work with us, and want to make sure that your installation or replacement windows meet your expectations in respect to both appearance and performance! 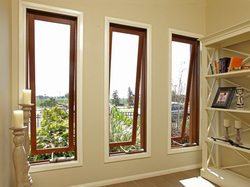 After all, your windows will remain an important piece in your home for many years to come! Our technicians will work quickly and efficiently – we know you’re busy! We won’t keep you waiting. That is why we will arrive promptly as scheduled and make sure to install, replace, or repair your windows when it is most convenient for you! No one likes a mess to clean up – that’s why our staff will clean up after themselves when they’re finished repairing, replacing, or installing your windows, so that you can get back to business as usual. If you have concerns or questions about products or what services we provide, please let us know at any time! 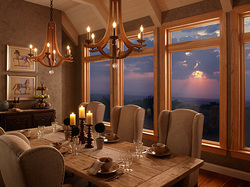 Are you interested to learn more about what Natick Window Company can do for you and your home or business? 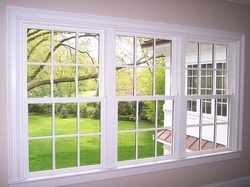 Curious about cost of window replacement or window pane replacement in Natick Massachusetts? Call us at 508-251-8038 or request a no-obligation, free quote via our online form! Keep the maximum amount of natural sunlight and ventilation in your home. Choosing a window that allows an abundance of light to flood the rooms of your home will not only brighten the space, but make it feel more comfortable as well. Making sure that proper ventilation takes place will also keep your home feeling fresh and healthy, rather than stale and dismal. Maintain an aesthetically pleasing theme in your home. Installing new windows, whether they are custom or are standard, stock windows, can freshen up any space and add a clean and contemporary feel to the various rooms in your home. Whether you are looking at the new windows from the curb outside or the couch inside, it will be easy to admire the fresh new look that Natick Window Company installation and replacement windows provide. If you are trying to keep your heating and cooling costs low, Natick Window Company offers an expansive selection of energy efficient replacement and installation window options. Harsh temperatures in both the summers and the winters here in Massachusetts can cause fluctuation in your energy bills, and that’s without the extra expense that can be caused by insufficient insulation in your windows. If outside air is able to make its way into your home, especially during particularly cold and hot months, this will increase your energy bills. Energy efficient windows from Natick Window Company will be professionally installed to make sure that your energy costs remain as low as possible. Make sure the elements stay where they belong – outside! Not only do harsh temperatures have a habit of escaping through older, worn windows, but harmful UV rays can also do damage to your home, your furnishings, and your health! If you choose windows from Natick Window Company that are equipped with UV protection, this will help prevent damage from these rays as well as excessive heat.